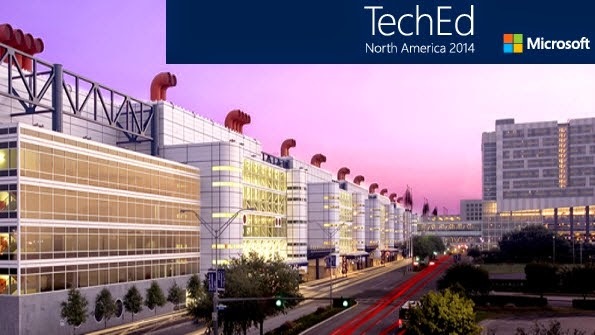 Exchange Anywhere: TechEd North America 2014 Event Started Today!!! The Great event of Microsoft for this year " TechEd 2014" will begin today and Microsoft’s Brad Anderson, Corporate Vice President, Windows Server and System Center Program Management will deliver his Keynote session giving us some great heads-up on Microsoft Roadmap towards the future and even this year we have some great sessions available from Microsoft and Experts over various platforms and most importantly this time Microsoft team is providing Live stream of the Teched Events for people who are not able to make it up to the live event, All we need is to register and attend the event virtually and also you can follow the TechEd Live Twitter Stream for continuous update on the Events and once the sessions are completed you will get the Presentations and Videos made available at Channel 9 under Teched North America 2014. * This time Teched NA 2014 is having more great sessions that covers various aspects of the Technology and you can review the Events page for clear details and navigate to Channel9 to access the contents.